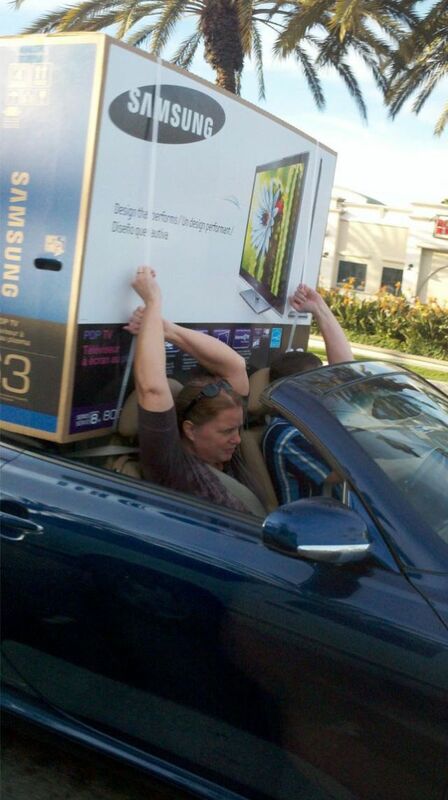 There simply has to be a better, not to mention safer, way to get your big screen television home. Makes sense to me. 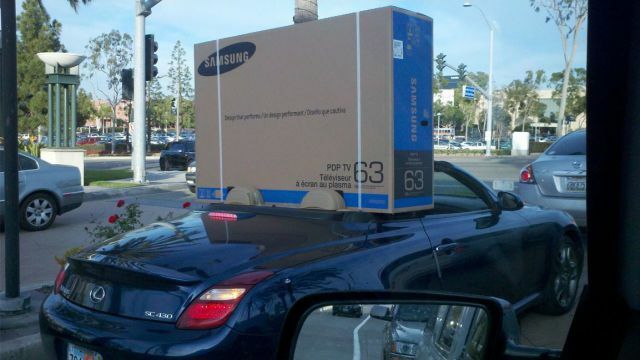 Instead of paying the $75.00 delivery charge to have your $2000+ TV delivered safely, you use a $50,000 convertible to lug it home. Showing the world their new tv. Looks like licence plate from the USA somewhere. But, there is here (izi) somewhere a pic from Romania with a gypsy/redneck/retard that bought a mattress from IKEA and he just slapped it on top of a Ford Mustang.